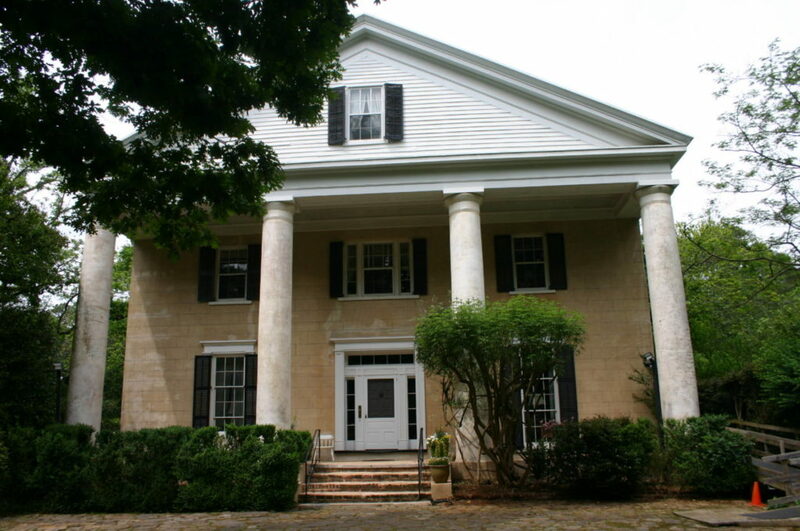 Designed for Roswell founding father John Dunwoody, this Greek Revival style home was built in 1840 and rebuilt in 1847 following a devastating fire. Mimosa Hall was named for its many mimosa trees by a later owner, General A. J. Hansell, prior to being purchased in 1916 by noted architect Neel Reid, who renovated the house and its iconic gardens. After Reid’s death, ownership of the property stayed with his family until 1937. In 1947, Granger Hansell, great-grandson of the home’s former owner, purchased Mimosa Hall and it has remained in the Hansell family ever since. Mimosa Hall, along with 21 undeveloped acres, is currently on the market. The significant acreage of the estate in historic downtown Roswell creates an elevated threat of development. The Georgia Trust desires to assist the owners in finding a preservation-minded buyer who will respect the property’s historic significance and provide free technical assistance to potential buyers, ensuring the preservation of Mimosa Hall, its lush landscape and exquisite gardens for years to come.